The purpose of ABC’s Political Action Committee (PAC) is to work within the federal election process to further the goals of the association through direct involvement in supporting and opposing candidates for The United States Senate and the United States House of Representatives. This is accomplished through educating our members on the importance of political activism and through financial support of merit shop candidates. ABC PAC is governed by fifteen board members who are appointed by the ABC Chair. The board members serve a three year term and are chosen by region. The PAC Board of Trustees work with the Regional Vice Chairs and chapter leadership to promote political involvement and assist in raising PAC funds. Members of this committee also approve all donations to candidates based on well-established guidelines such as voting records of incumbents. The PAC Trustee will also work with one non-voting Regional PAC Chair in each region who will assist with specific chapter programs and fundraising events. It is imperative that ABC contractors work together to counteract the strong and united forces of groups who oppose the merit shop. If the merit shop does not take an equally aggressive stand in supporting candidates that will support our philosophy, it cannot triumph. ABC’s PAC is your voice in elective politics. PAC members’ donations are combined with others to jointly support candidates. This provides a unified and powerful voice for the merit agenda. It is also an opportunity to participate in one of the largest pro-business PACs in the nation. Interested in making a personal contribution to the federal ABC PAC? Please contact National ABC at 703-812-2000 or go to http://www.abc.org for more information. Who donates to candidates in your zip code? Who donated to your member of Congress? How is your member of Congress spending their donations? Visit FEC.gov find all the publicly disclosed information on who donates to federal candidates and how those candidates are using contributions. Our public officials and voters constantly make decisions that affect your company’s ability to do business. It is imperative that they be informed of the impact these decisions have on jobs, the local economy and our industry. 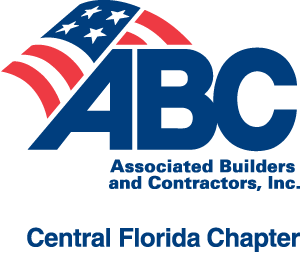 To ensure the interests of its membership are widely known, Associated Builders and Contractors (ABC) turns to the Free Enterprise Alliance. The Free Enterprise Alliance is the issue-advocacy arm of ABC. Its mission is to educate ABC members, their employees, elected officials and the general public about what is important to open competition in America. Your support allows the Free Enterprise Alliance to continue responding quickly to issues critical to ABC and your business. Whether it’s a large scale education campaign or the need to mobilize on-the-ground teams to dispel false information, your support today will help protect the way we’ll all work tomorrow. Bilingual presidential candidate comparison voter guides and Get-Out-the-Vote posters distributed to all ABC members. While the Free Enterprise Alliance has made an impact, it still has much work to do. The enemies of free enterprise will continue to attack-making it harder and harder for you to compete. Your personal OR corporate contribution to FEA is an investment in the future of your business.